Hi and welcome to my comics blog! Here's how to navigate through my blog. The full list are on the right side of the page. The titles are in descending order either by issue no. or by the year it's printed. Click on "LABELS" or "OLDER POSTS" at the bottom of each posts to view other comics that is related. 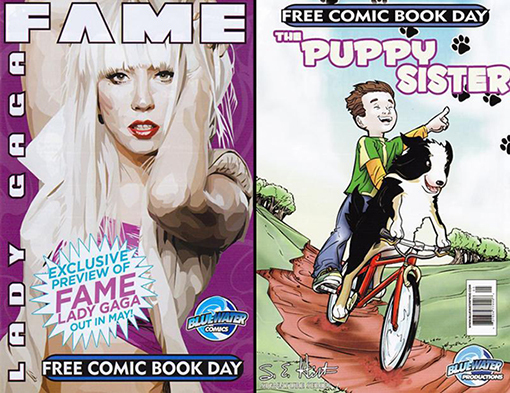 Looking for any specific titles or issues? Contact me and I'll try to help you in any way that I can. For any enquiries, sms me at 9616 9144 or email at wasabeii@yahoo.com.sg ~ Cheers! • PLOT SUMMARY: S.E. Hinton, was and still is, one of the most popular and best known writers of young adult fiction. Hinton is the author of the young adult novels "The Outsiders". Bluewater Productions proudly announces an exciting new partnership with bestselling author S.E. Hinton. 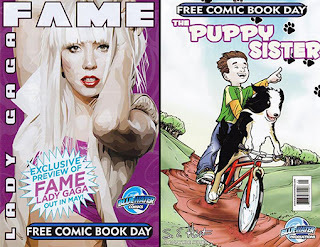 In this issue will showcase the new titles from Hinton as well as the new biography series called FAME featuring Lady Gaga. DC SUPERFRIENDS MAQUETTE COMPLETE SET FOR SALE. PLEASE SMS ME AT 9616 9144 FOR ANY ENQUIRIES. BRIGHTEST DAY VARIANT COMPLETE SET FOR SALE. PLEASE SMS ME AT 9616 9144 FOR ANY ENQUIRIES. THE FLASH VOL. 2 #1-100 COMPLETE SET FOR SALE. PLEASE SMS ME AT 9616 9144 FOR ANY ENQUIRIES. EARTH X COMPLETE SET. PLEASE SMS ME AT 9616 9144 FOR ANY ENQUIRIES. ONSLAUGHT TRADEPAPERBACK 1 ~ 6 COMPLETE SET. SMS ME AT 9616 9144 FOR ANY ENQUIRIES.